Here it is, folks. The #1 most requested add-on item in the history of Chippo: The Chippo Travel Satchel. Now, the greatest game of all-time has durable travel case, built specifically for Chippo. This here thing is a beauty and comfortably fits a full Chippo set, extra balls and even your golf clubs! Constructed of durable polyester nylon, backed with a vinyl coating. 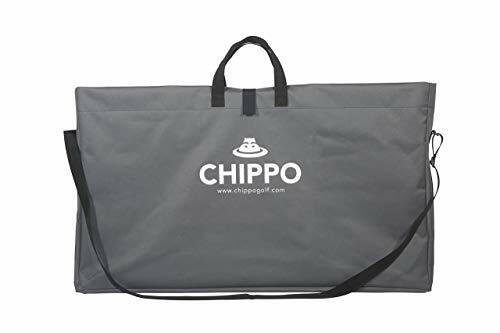 If you have any questions about this product by Chippo, contact us by completing and submitting the form below. If you are looking for a specif part number, please include it with your message.